Having failed to tame some eager terriers from Yorkshire, Manchester City must now restrain a breed of pedigree poodles from France as they strive to ‘Winalot’ in Pep Guardiola’s debut season. You saw him standing alone – ‘Spanish Water Dog’ Pep wants City to be Best In Class and Supreme Champion. Sticking with the canine theme a little longer, Guardiola could be City’s Spanish Water Dog, possessing all the finest traits of the breed – intelligent, diligent, loyal and athletic – the same qualities Pep demands from all of his teams. Strong natural herding and guarding instincts leads the ‘SWD’ to be the ‘self appointed guardians’ of their home, hence Pep’s passion to turn the Etihad Stadium into an impenetrable fortress. 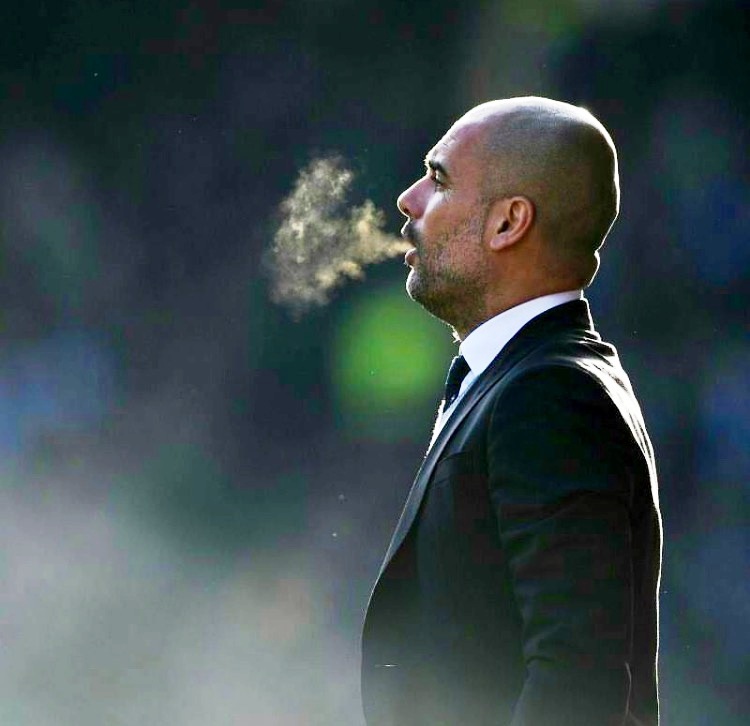 Born leader – Pep will enjoy much greater success at City in seasons to come. It’s only been breached once under Guardiola’s guard and that was when the opponents were more than aided and abetted by a worm, masquerading as a referee, pretending to be an Altrincham fan. The self-same maggot-like creature – Anthony Taylor – presided over City’s FA Cup stalemate at Huddersfield, as Guardiola’s gamble in fielding a vastly under strength team, didn’t entirely pay-off, nor backfire. A scrappy 0-0 at least sees City in the draw for the FA Cup quarter finals without any new injury concerns, but the price to pay is an unwelcome replay fixture a week on Tuesday. 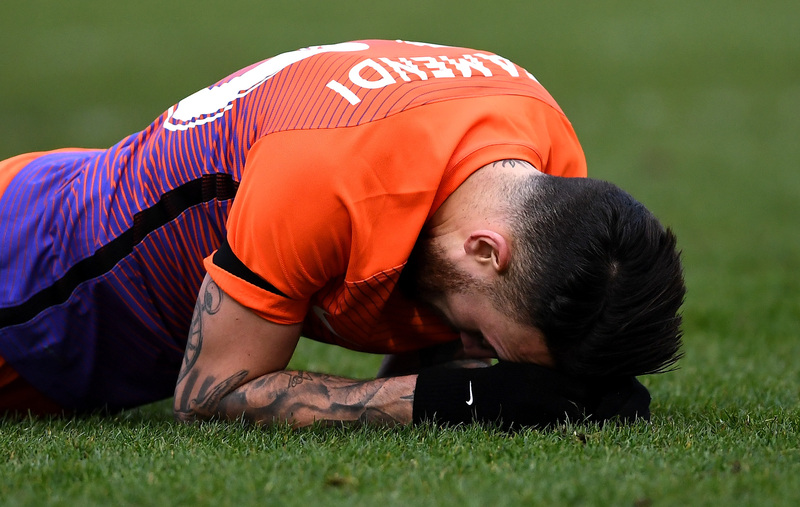 Down but not out – Nicolas Otamendi hits the floor as City scrapped for a 0-0 FA Cup draw over in Yorkshire. As for this Tuesday, Pep and City will be playing for much bigger stakes against free-scoring opponents from the land of the classic James Bond film, Casino Royale. It’s not quite a case of Monte Carlo or Bust as Monaco roll up for the Champions League knockout stages, but the odds on City progressing to the quarter finals will lengthen considerably, should they fail to win the home leg. 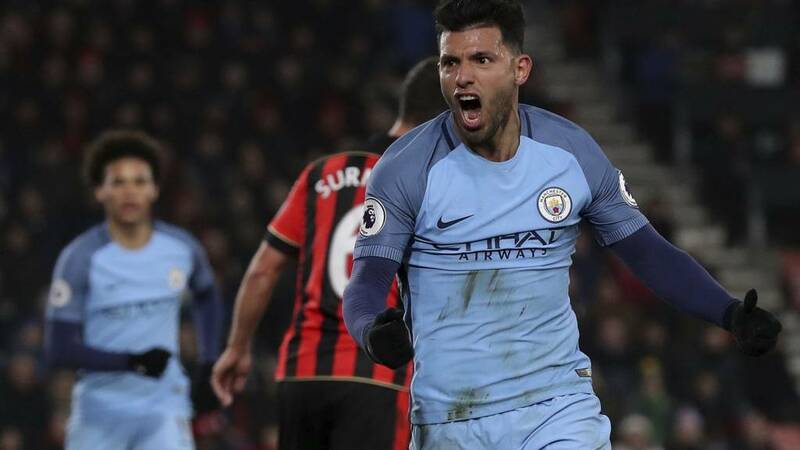 Fired up – Sergio celebrates City’s second goal at Bournemouth and one that should have been his 155th for the club. Most observers believed City had benefited from a favourable tie when the pairings for the last 16 knockout stage of the Champions League were drawn. City avoided Atletico Madrid, Borussia Dortmund and Juventus, but Monaco still represent a real test, having already beaten Spurs both home and away in the group stages. Much has been made of the French league leaders attacking flair and glut of goals – 76 scored in just 26 Lique 1 games – with a haul of 59 points. Leroy Sane is showing why he will be a City superstar in the very near future. Contrast that with City’s 52 points gathered from one game less – in a much more competitive league – and you begin to see that Pep’s not doing so badly in England, despite what the doom and gloom merchants would have you believe. If any team can bridge an eight point gap to the top of the Premier League, it has to be City – after all they’ve a bit of ‘previous’ in that department. Had it not been for Anthony Taylor, it could already be down to just two points – the six point ‘swing’ to Chelsea being the result of their controversial 3-1 win at the Etihad last December. 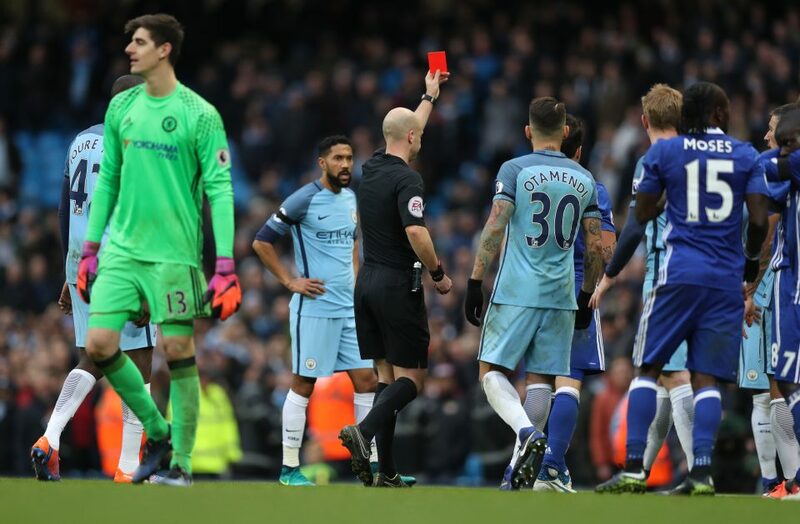 City are 8 points adrift of Chelsea, but it could so easily be just two, were it not for ref Anthony Taylor! A third PL title in six years is still a big ask for City, as is a first ever Champions League trophy, in Guardiola’s first term. Monaco’s firepower could prove problematic for a City defence, prone to leaking goals for much of the season, but one that has recorded four clean sheets in the last five games. 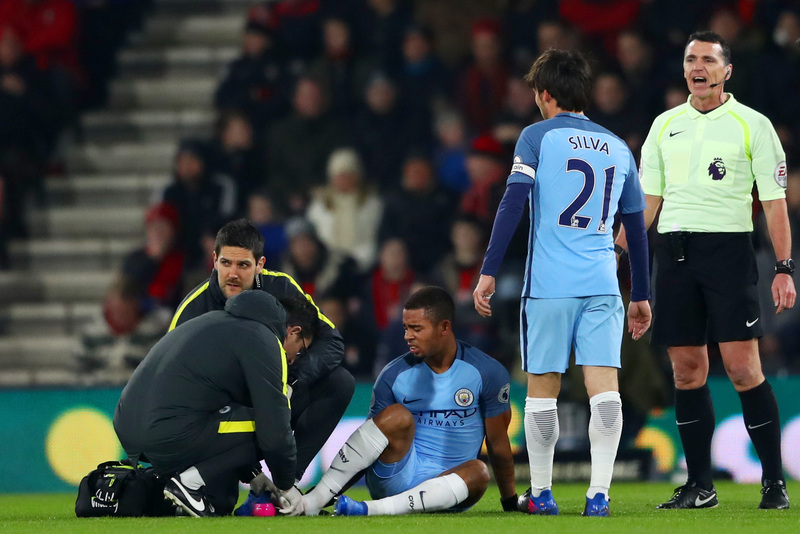 It’ll be a back line once again minus Vincent Kompany, who has picked up yet another injury, since he completed the full 90 minutes in the 3-0 FA Cup win at Crystal Palace at the end of January. Captain Kompany will be absent through injury against Monaco, but should be back for the FA Cup replay with Huddersfield Town. 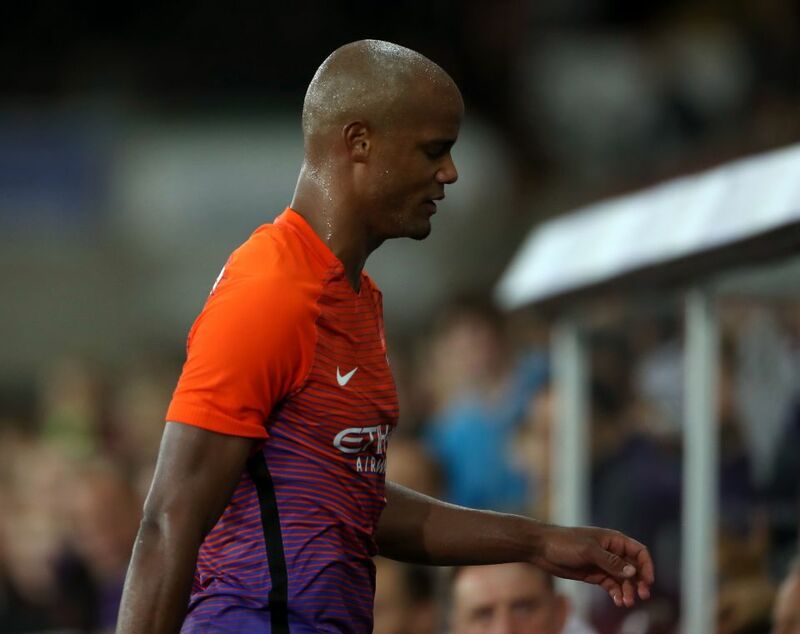 Kompany’s fragile state is a football tragedy for both player and club. One can only imagine how much improved City would be with a 100% fit and able Captain Fantastic on the pitch. 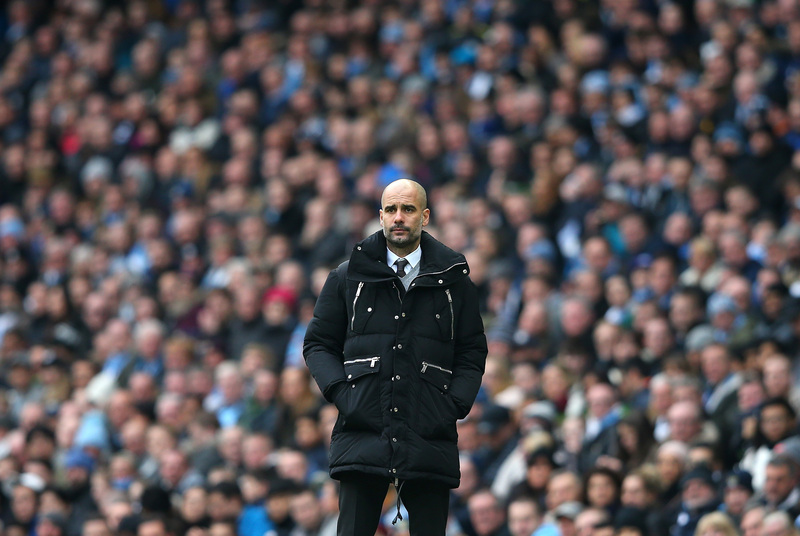 Sadly, it’s looking increasingly likely that the skipper’s days are numbered as City’s leader. Two players who are in contention to face Monaco are Willy Caballero and Claudio Bravo. 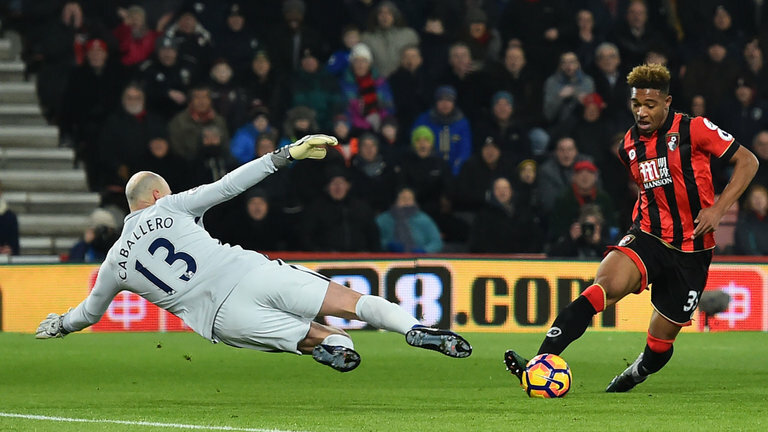 Willy to the rescue – Caballero pulls off a fine save at the Vitality Stadium. Caballero’s recent performances have been vastly superior to those of his Chilean team mate. It would be a travesty if the Argentine veteran isn’t restored to the starting line-up, despite Bravo playing well against Huddersfield. With so much pre-match chatter focusing on Monaco’s goal-scoring exploits, only a fool would overlook the potency of City’s attacking play. Sweet Jesus – Gabriel is out of action for between 2 to 3 months after breaking his metatarsal bone in his foot. Gabriel Jesus’ broken metatarsal put everybody on a huge downer after the 2-0 win over Bournemouth, but now’s the time for Pep to unleash the latest version of City’s SAS – Sane, Aguero and Sterling. Jesus has made a hugely impressive start in City blue and his absence – for at least two months – is a big blow, denying Pep the options of creating different attacking formations. But – and it’s a big but – since when has it been a problem to be able play Sergio Aguero as the lead striker? 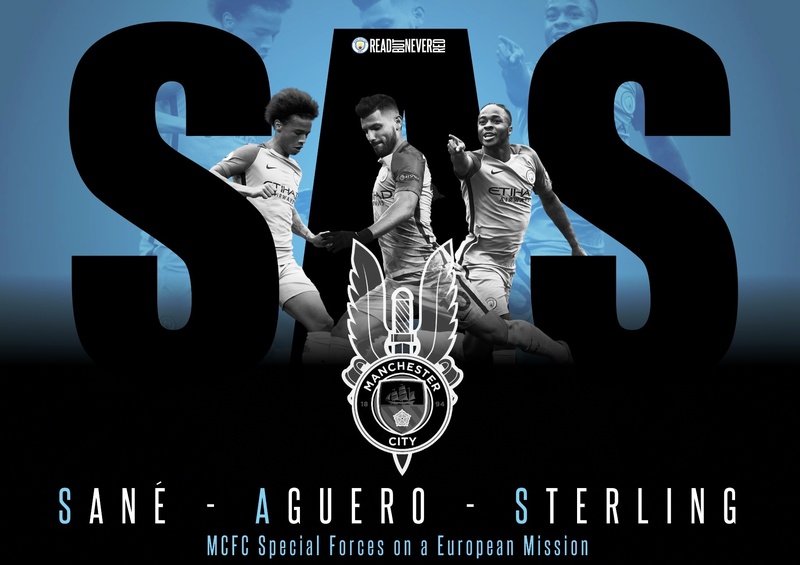 City’s new look SAS strike force – Sane, Aguero & Sterling. Bespoke image courtesy of Stiz from our BlueRoom sponsors. This is Aguero, scorer of 154 goals for City in 236 appearances. The only part of that last sentence which doesn’t sit true is the goal statistic of 154 goals – why the hell Sergio wasn’t credited with City’s second at Bournemouth, is a tad sinister. Had it been a big-nosed, egotistical Swedish git with a dodgy haircut, steering the ball towards the corner of Boruc’s net, I’d bet my mortgage it wouldn’t have gone down as Mings OG! 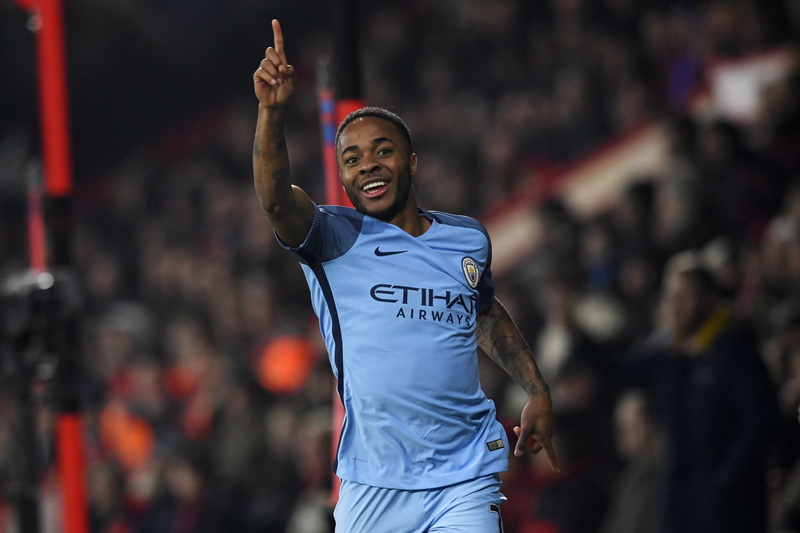 Sterling on the rise – Raheem celebrates City’s opening goal at Bournemouth. 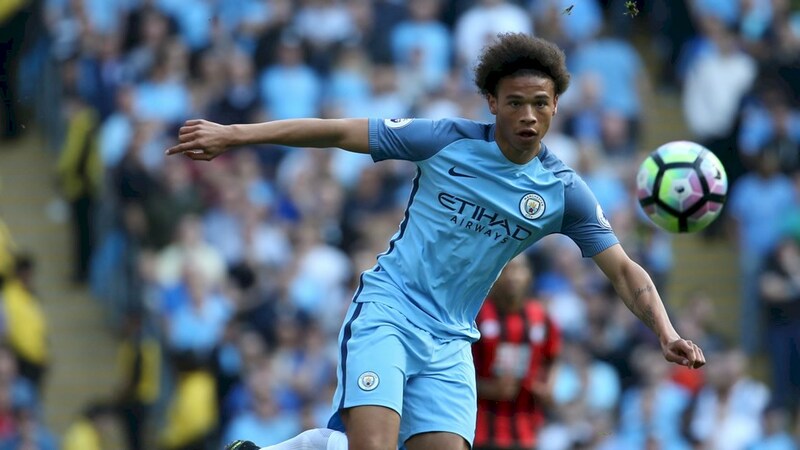 The emergence of Leroy Sane has brought a new dynamic to City’s attacking play, adding balance to the flanks, in partnership with the ever improving Raheem Sterling. David Silva had a well earned rest on FA Cup day and, along with Kevin De Bruyne, he’ll add the creativity City will need if they’re to overcome a talented Monaco team. KDB will need to be at his creative best to help City reach the Champions League Quarter Finals. El Mago’s namesake – Bernardo Silva – will be a threat to City, along with other standout players such as Thomas Lemar, Fabinho and a certain Radamel Falcao. Labelled as something of a busted flush during two unproductive loan spells with the Trafford Troglodytes and Chelsea, Falcao has already topped the 20-goal mark this season. 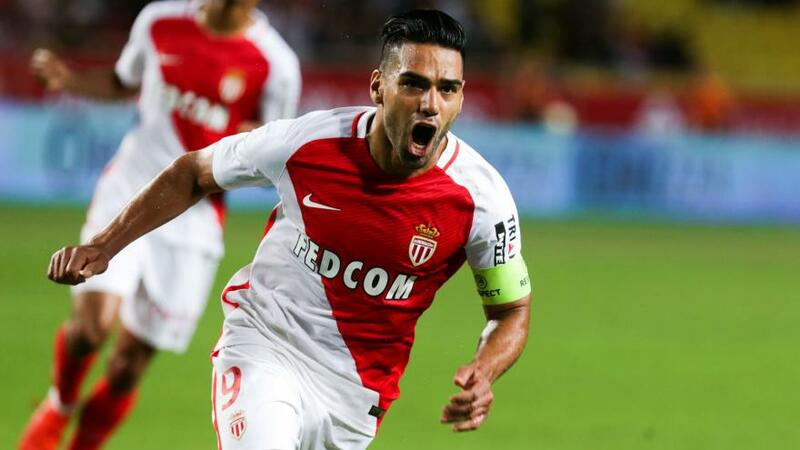 Not what City fans want to see – Falcao celebrates scoring for AS Monaco. He could so easily have been a City player before he joined United, but City declined the opportunity to sign him from Monaco two seasons ago, after the Colombian marksman was bedeviled by injuries. City have never lost to French opposition in European competition, with all three previous meetings limited to PSG (W1 D2). Conversely, Monaco are three time winners in Champions League knockout ties with English clubs, accounting for Manchester United, Chelsea and Arsenal in years gone by. 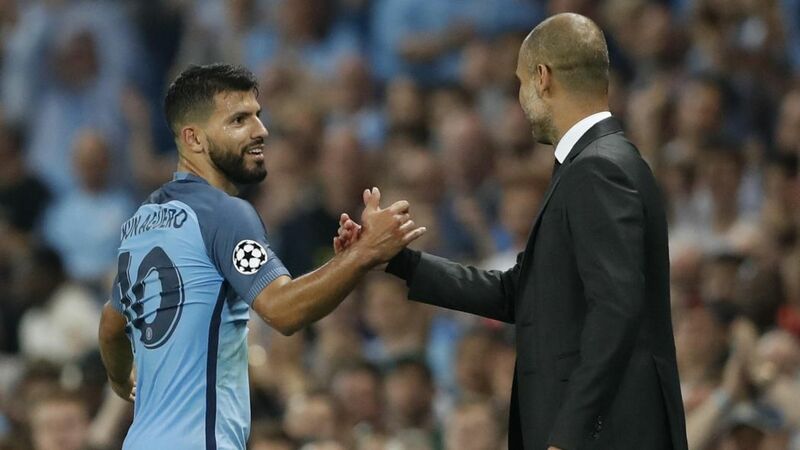 Together – Pep and Sergio will be striving to ensure City are at the races and not going to the dogs in the coming weeks and months. It’s an intriguing affair promising plenty of flair. Something has to give and by March 16th, either City or Monaco’s Champions League ambitions will have gone to the dogs. 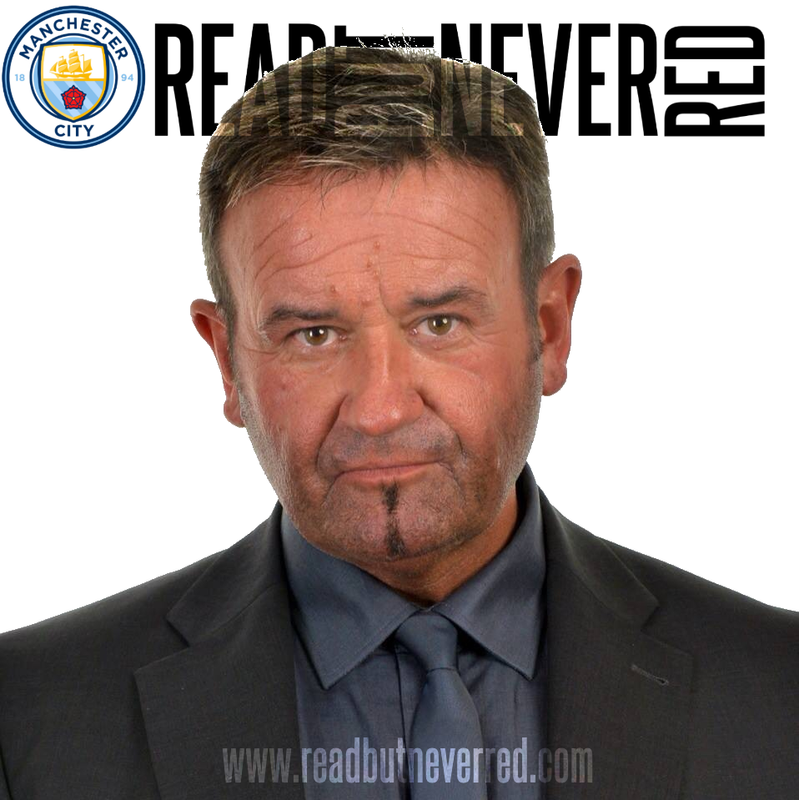 This edition of Read But Never Red is dedicated to two Super Blues – Dave Hughes and Stuart Hunt. It’s Dave’s birthday today as he battles the ‘Big C’ and, knowing the man as I do, he’ll beat the b@st@rd, whereas Stuart is mourning the loss of his beloved Mum. It just serves to illustrate that as much as we love City, there is so much more to life than just football. Mahussive best wishes to you both, Blue Brothers. Lifetime City fan Mark McCarthy is hosting an evening with former City and England striker David White this Saturday night, February 25th, to promote the release of David’s powerful new autobiography ‘Shades of Blue’…and Read But Never Red will have a personally signed copy of David’s book to give away to one lucky RBNR reader. 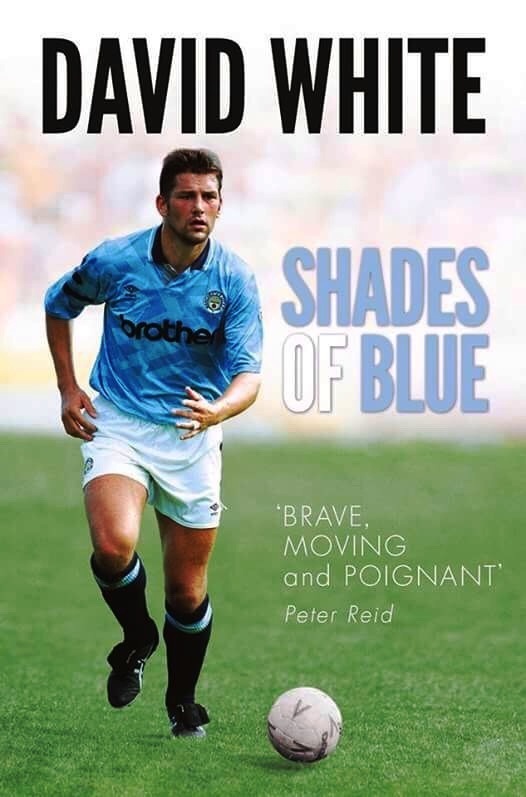 David White will be fielding questions and giving answers at a Q&A evening and book signing at 7pm at Newport Pagnall Town Football & Social Club, The Pavilion, Willen, Newport Pagnall, MK16 0DF. Tickets are FREE but limited in number, so please don’t delay and contact Mark directly on mmmac@hotmail.co.uk if you wish to attend. David White was born in 1967.Your blog has definitely gone to the dogs Dave Winalot lol. Hopefully we can do Monaco & then Huddersfield, while Jesus is a massive miss Aguero isn't a bad alternative. As I've said before I see this season as one of transition & its starting to show now so maybe just make I'm going to be wrong & we might win a trophy this season. Love it when you're wrong! But obviously you're right on the David White competition ;-) Thanks for your comments PAL! 1967 - Nice article too. Thanks Andrew - all the best in the competition. This game to me is a hard game to forecast. Monaco are apparently free scoring, but how good is the French League ?. Like City it appears they can be a bit exposed defensively, but in recent games we have admirably kept more than 1 clean sheet !. Hope fully we can go to the South of France with a 2 - 0 score but I would take 3 -1. Start, at least , with Willy, Sane,Sterling Aguero . Thanks RC and I totally agree with the personnel who Pep should be deploying tonight. Trying to guard against away goals will be a challenge. Only time will tell if Monaco are as good as their goal scoring exploits might suggest. David White born in 1967 the same year as my eldest ? Being an ardent City fan since 1975 and frim Malaysia, I had never dreamt that we would have the best coach in the world, the most potent strikeforce ever and a place in the last 16 in the CL. Yes we were in the semifinal last year but this time we are really with a chance and confidence to go with it. Success will come in time with Pep at the helm and it's definitely a team in the making. Doom merchants are always at our door and with the aid of media outlets, tabloids and dubious refreeing, it will certainly be a test for Pep. But no one can stop the City's revolution come what may. 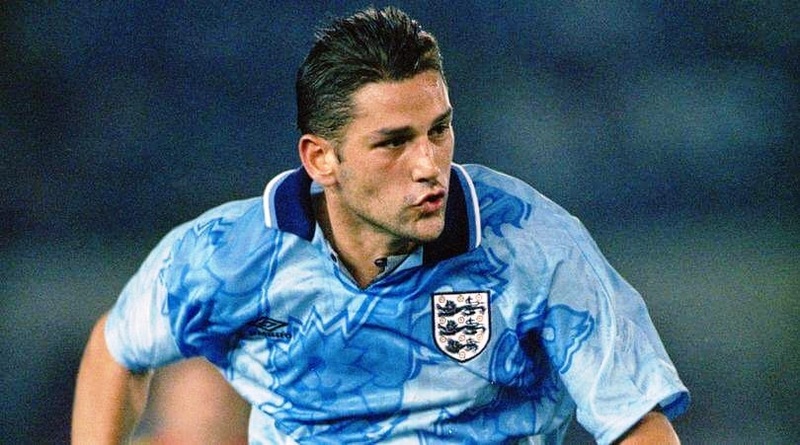 Great article as always and by the way, David White was born on the 30th October 1967. I'm convinced Pep will take City to the very top of world club football and hope he'll be at the Etihad way beyond his initial three-year deal. Thanks for reading and for your feedback.